By Andrew Wainer, Director, Policy Research. Department of Public Policy and Advocacy. 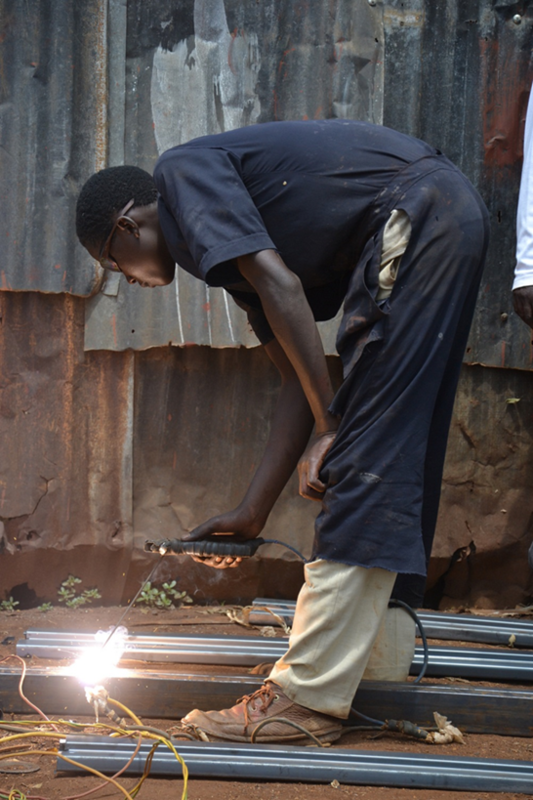 Akazi Kanoze is a USAID-supported project that includes strong partnerships with the Rwandan private sector to develop marketable skills for youth including welding. As the Trump Administration turns its attention to international development policy, it should endorse and deepen bipartisan principles – such as country ownership – that promote stability in developing nations and security for the United States. As illustrated in the recently published report The Power of Ownership, USAID and the Millennium Challenge Corporation (MCC) operate a variety of projects that exemplify country ownership principles and practices. The report, by Save the Children and Oxfam America, showcases examples in Ghana, Indonesia, Jordan, and Rwanda where ownership promotes stability and self-sufficiency. Over the long term, ownership establishes the foundation for new types of relationships with the United States. Eleven of the U.S.’s closest trading partners are past recipients of U.S. international assistance, and the developing world is one of the largest markets for U.S. exports. Rwanda’s transition over the past 30 years illustrates the importance of country ownership in development. In 1994, the Rwandan Genocide lasted 100 days without international intervention before it was halted by the Rwandans themselves, when the Rwandan Patriotic Front (RPF) entered the country from neighboring Uganda. By the time the genocide ended, an estimated 800,000 to 1 million people were dead. In the wake of the genocide, some estimated that Rwanda was the poorest country in the world. Findings from a 1995 survey of Rwandan children found that during the genocide 90 percent had witnessed killings, 35 percent lost an immediate family member, and 15 percent hid under a corpse. Rwanda’s journey from the 1990s genocide to stability and economic growth owes much to the nation’s partnership with international donors. As the Power of Ownership report demonstrates, the Rwandan private sector plays a strong role in the country-led, inclusive growth the country has enjoyed in the decades following the genocide. Akazi Kanoze – which means “a job well done” in Kinyarwanda, Rwanda’s native language – was designed to contribute to the national goal of generating 200,000 off-farm jobs annually for the country’s burgeoning population of unemployed youth. Since its inception in 2009, it has provided vocational skills and work readiness training to tens of thousands of Rwandan youth. While it was launched in urban areas, it has expanded into the Rwandan countryside, and is now integrated into the government technical and vocational education and training (TVET) even reaching refugee communities on Rwanda’s western border. Akazi Kanoze, started as a partnership between the U.S.-based NGO Educational Development Center (EDC), and key Rwandan employers in the construction, welding, hospitality, and childcare sectors, among others. Working with civil society and business leaders, EDC helped strengthen and expand Rwanda’s TVET infrastructure and curriculum to better equip Rwandan youth to enter the workforce. The project identified youth capacity gaps and labor market needs that were then addressed by Akazi Kanoze job skills training modules. The project design included a Rwandan business advisory council to ensure strong lines of communication with the local private sector and insight into the country’s labor market needs. Today, the project continues in another form. USAID and EDC worked with local staff to create an independent Rwandan nonprofit – Akazi Kanoze Access – to carry the project forward, diversifying funding beyond USAID. With the financial support of a private foundation, Rwandans are now taking full leadership over the project. Inspired by USAID’s Local Solutions initiative, Akazi Kanoze demonstrates one way that country ownership principles can be translated into action, helping to ensure that foreign assistance builds self-sufficiency rather than dependency. Click here to learn more about Akazi Kanoze and watch a short video featuring the project.